Home: A familiar place that is one's own refuge and sanctuary. into the sanctuary they deserve. These last 11 months have been a completely new adventure for me in becoming an LA resident and living in our new home. It's my first real home, as an adult, that I can call my own (well, ours including my fiancé and cat). 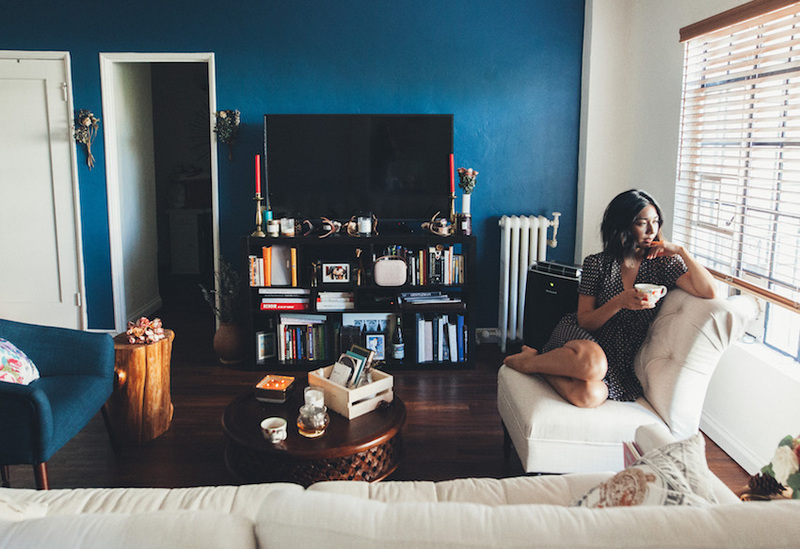 I've only known dorm rooms, greek houses, and my parent's house, where old childhood furniture and IKEA ruled as the main interior decorator in my personal spaces. Every one has said it takes months, even a year or so to fully "move in" to your new home, which makes us feel less guilty for having our paintings on the floor ever since we moved in last June. We've meticulously accumulated furniture we liked through online and estate sales, craigslist, etc. But, are we really doing it right? I think back to my personal style journey. Three years ago, my wardrobe was very eclectic; while I'd say there were plenty of fashionable clothes and outfits, my wardrobe was lacking style. Bold prints, vivid colors, skinny jeans in all hues littered my closet and it came to a point where I wasn't inspired, I was just collecting. It was only a year or so ago when I paid close attention to what really made up the essence of my soul and I was able to translate that to my personal style and lifestyle for a more passionate outlook. I now fully embrace the romance that drives my daily vision, a life philosophy that stimulates imagination and curiosity. I'm a romantic, an emotional Cancer, and a pursuer of adventure. So, back to our home. Together, Kyle and I are venturing through a style discovery for what we want to create as our sanctuary. What we originally thought would be a transitional modern-country look for our living room really wasn't working, as you can see above. So, after months of rearranging furniture in a futile attempt to wow ourselves, we accepted the fact that we needed to seek expert help for our interior style. 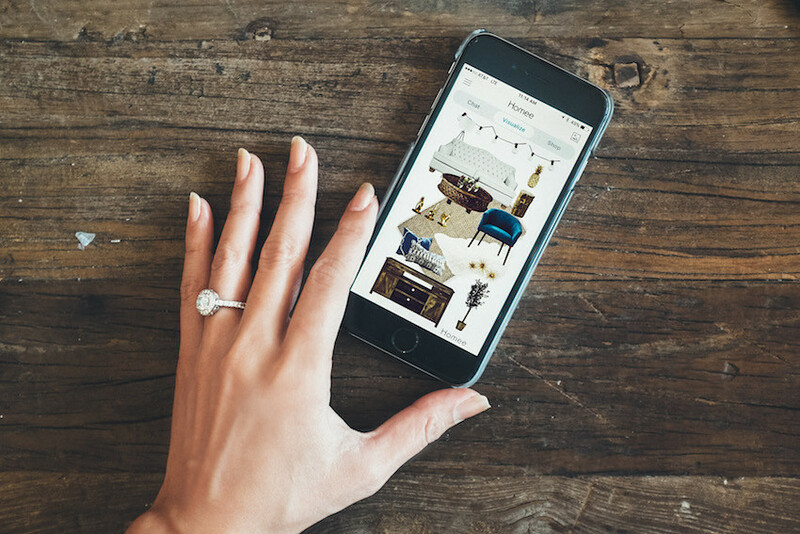 Luckily, we discovered this interior design app called Homee. 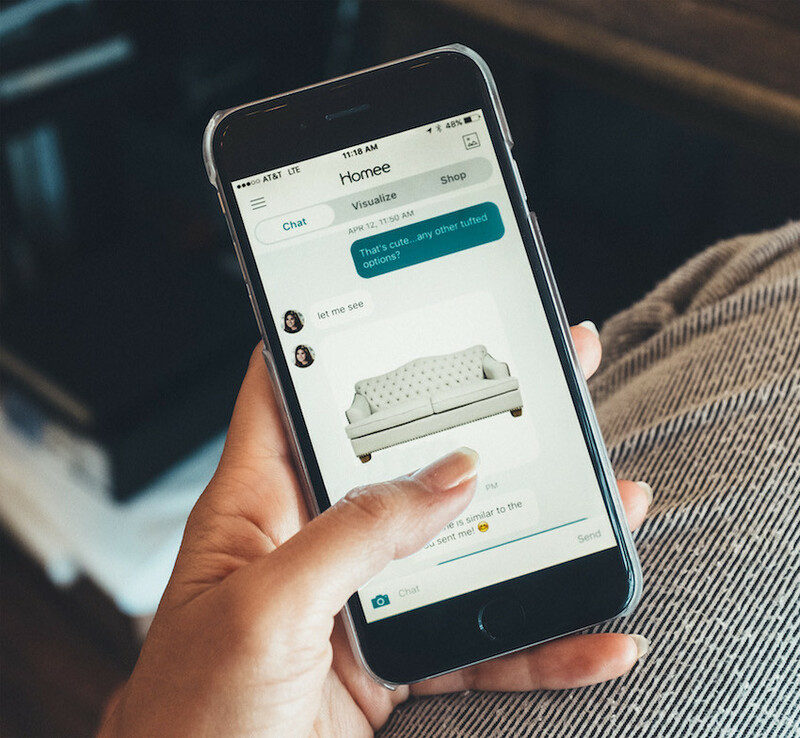 It's an amazing company that exists solely as a sleek mobile experience, in which Homee helps you design your space with a personal interior designer and effortlessly order your furnishings in one click. You just upload a picture or two of your space to get started, and your personal interior designer takes it from there! What makes me a loyal Homee customer is that their interior designers just get it! They're super friendly to chat with in the dedicated chat room, as if you're texting your best friend for advice before you check out. 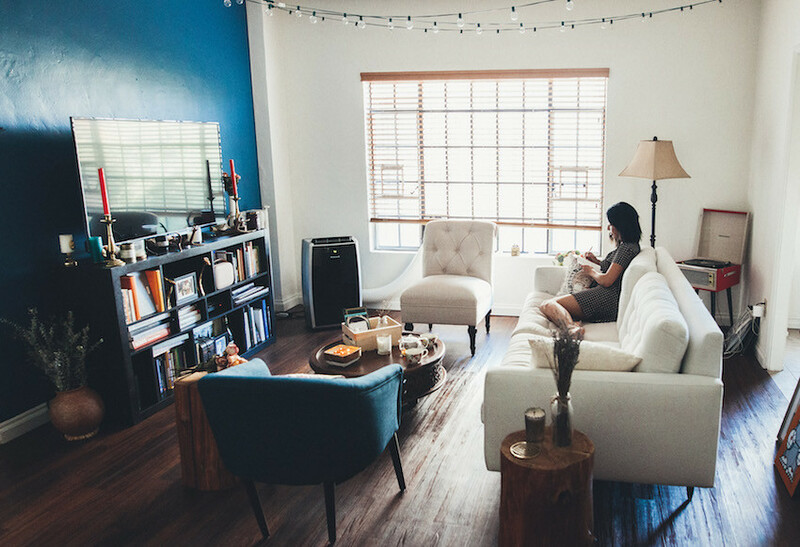 My interior designer Claire lives up to the company name (hehe) and expertly took the reins in transforming our living room into a functional living + office space with a charming, romantic aesthetic. After about a couple of weeks of chatting back and forth and sharing different interior styles and pieces, we've settled on a final look for our living room. It's a bit different than the concept board pictured above, as that was one of the first revisions, but it's even better. We've already got our furniture and with Claire's help, we completely rearranged everything in our space to create what we like to call a modern French garden - a true sanctuary for Kyle and me. Coming up soon will be a pictorial on our home refresh and an in-depth look into how we used Homee to build our new living space with one of the co-founders of Homee on YouTube! For now, check out Homee in the app store. Whether you're looking for a couple of decor items or a whole new room, Homee will be there to help and the service is free!